by Rabbi David Lapin	in	Vayeshev	on December 07, 2017 . Parshat Vayeishev 5768 When what you read in the news and what you learn in the weekly Parsha intersect, it is important to pause and notice. The theme of gender abuse continues both in the U.S. media and in Parshat Vayeishev. In this week’s Parsha however, the victim is no innocent young girl as was the case with Dinah last week, nor is the perpetrator a male sexual predator like Shechem was. This time the perpetrator is a powerful woman, Ms. Pottifar, wife of one of the most influential men in Egypt. The victim is Yoseif, her dashing, seventeen-year-old slave, and as the only Jew in Egy..
by Rabbi David Lapin	in	Vayeshev	on December 11, 2014 . Often we feel critical of people who seek recognition for the kindness they do. But the Torah’s view of the subject is counter-intuitive and surprising. עולם חסד יבנה (תהילים פ"ט) A universe can be constructed from acts of kindness (Psalms 89) Vayeishev 5775 © Rabbi David Lapin, 2014 What the Midrash Means Series - 1:9 ____________________________ Context Yoseif’s brothers decide that his repetitive attempts to alienate them from their father and displace them as spiritual heirs to their father’s legacy, was a capital offense. Just before they execute him, Reuvein, th..
Parshat Vayeshev 5769: IS THAT FAMILY? 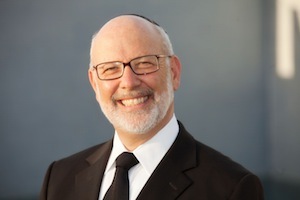 by Rabbi David Lapin	in	Vayeshev	on October 07, 2014 . Last week I extolled the virtues of family. The tale in this week's Parsha of familial brutality shocks us to the bone. Yoseif's brothers act on their hatred of him and callously plot Yoseif's murder. Only Yehuda's intervention saves him from murder and relegates him to a fate not much better: slavery in Egypt. Their actions toward Yoseif seem brutal; their disregard for their fathers devastation reveals an unimaginable lack of compassion. Is thatJewish family? No, that is not family. Family, as we said in last week's essay, stand by one another almost unconditionally, they d..
by Rabbi David Lapin	in	Vayeshev, Miketz	on October 07, 2014 . We need to make good choices based on the information we have and the values we believe in. But we need to know and accept that the real purpose of the choices we make might be very different from the reasons we made those very choices. Yoseif, the first management consultant Last week, in Parshas Vayishlach, Yaacov prepares for the possibility of war with his brother Eisav. He prepares gifts for Eisav, sends messengers to appease him and then still divides his family into two camps in the hope that at least one would escape to safety if the other were attacked. Even though Yaacov trus.. In Memory of Harav HaGaon Reb Azriel Goldfein ztz"l Zohar (3:46b): © Rabbi David Lapin, 2007 This week a dark tragedy befell the Jewish community of South Africa: it lost its beloved and revered Rosh Yeshiva, Rabbi Azriel Goldfein ztz"l, originally from Minnesota, USA. He was a man of gigantic Torah stature by any international standard. But his egoless humility, his love of people and adoration of the Torah, his fanatical pursuit of shalom, and his almost fanatical insistence on normality, nobility of character and balance set him apart in a regal class of his own. The communi..